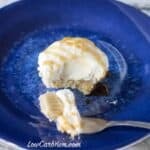 If you’ve been on a low carb keto diet for a while, you’ve likely heard of fat bombs. One of my most popular ones are white chocolate flavored. 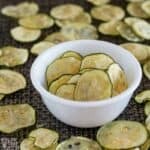 These high fat snacks are used to boost your healthy fat intake. They are perfect for a quick energy boost. 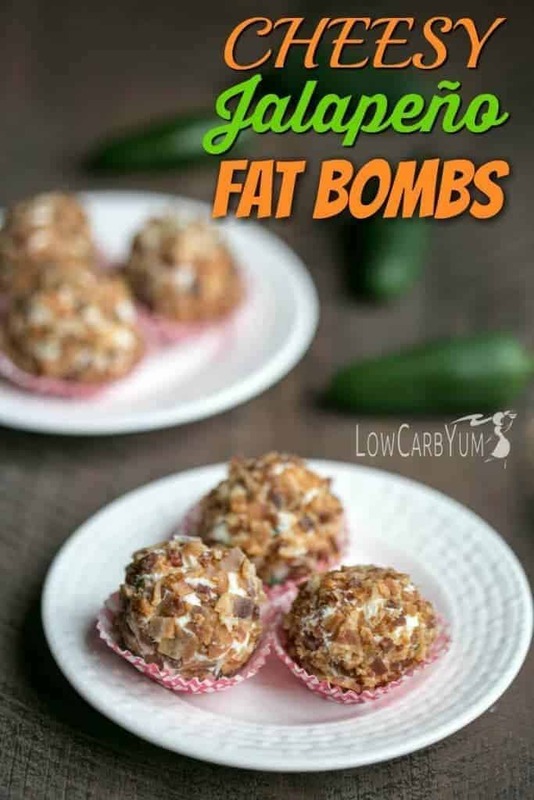 Fat bombs can be sweet or savory. They can be frozen, spoonable, drinkable, or bite sized. 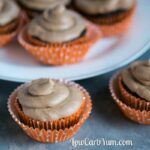 And, they are usually delicious treats that help keep you satisfied on a low carb diet. The new cookbook by Martina Slajerova, founder of the KetoDiet app and low carb food blog, has a new cookbook with 100 fat bomb recipes. 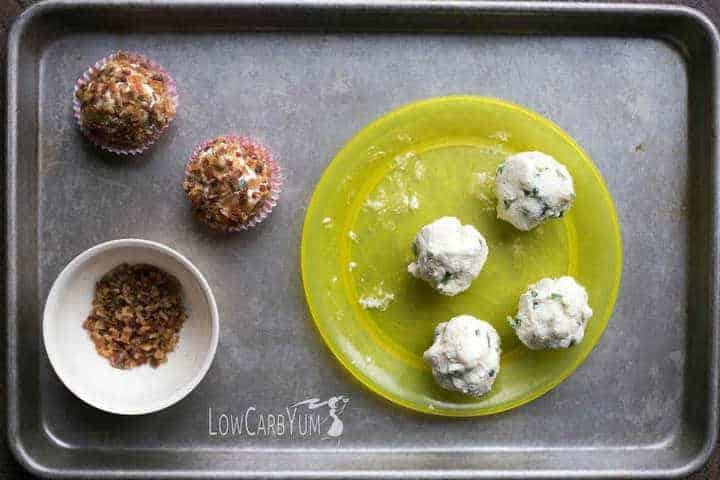 You can find this Sweet & Savory Fat Bombs cookbook here. I’m big on snacks because I’m always super busy. 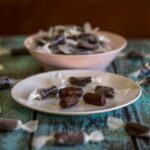 So, I am in love with Martina’s new fat bombs cookbook. Since I’ve been cutting back on sweets, I chose to try out the cheesy jalapeño fat bombs recipe from the book. 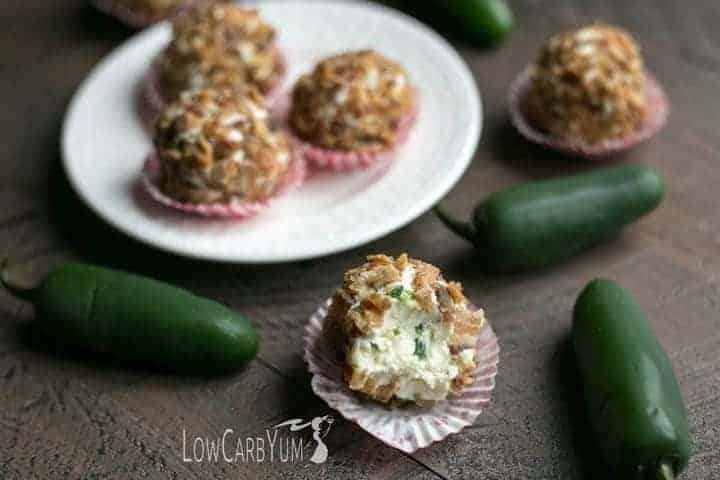 These tasty savory fat bombs were inspired by the popular jalapeño poppers appetizer. However, the fat bomb version is much better! Like all of the recipes in the Sweet & Savory Fat Bombs Cookbook, these cheesy jalapeño fat bombs are a cinch to make. 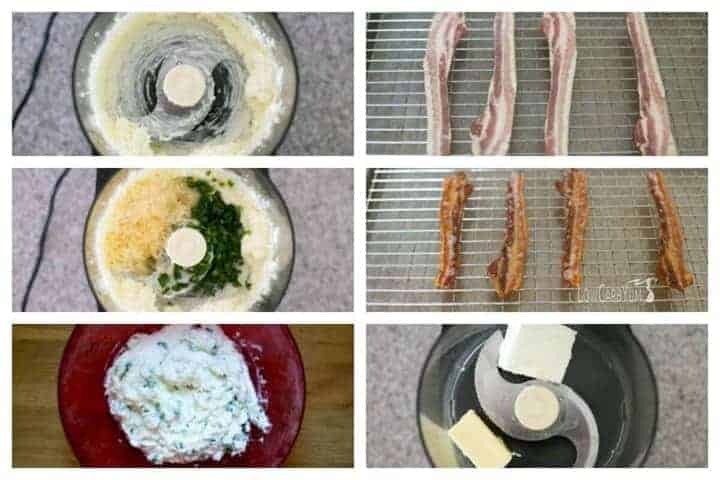 To make the recipe, you’ll need four slices of bacon baked crisp along with the bacon grease that drips out during baking. The filling is a mixture of unsalted butter and high fat cream cheese. Chopped jalapeño peppers, shredded cheese, and bacon grease are mixed in. The mixture for the keto jalapeño poppers fat bombs is chilled for less than an hour to firm it up. Once chilled, the cheesy mixture is formed into balls that are then rolled in crumbled bacon. Although jalapeño peppers are used, the seeds are removed before chopping so the these savory fat bombs are very mild. 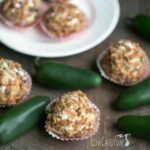 I like these high fat snacks much better than traditional keto jalapeño poppers. And, they are so easy to make. 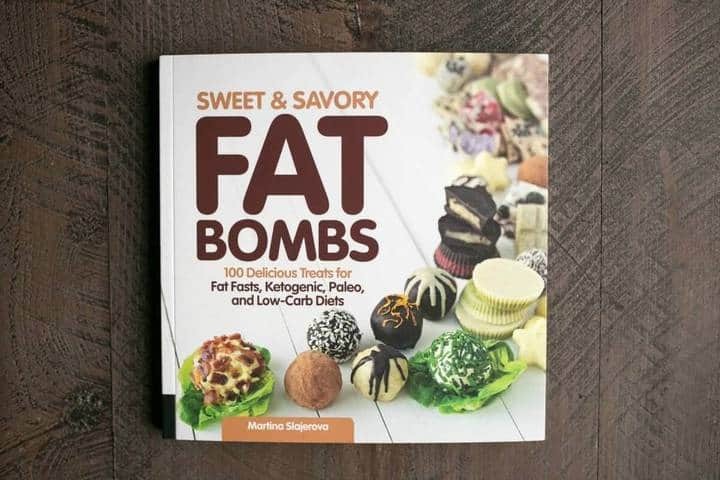 There are so many great fat bomb recipes in the Sweet & Savory Fat Bombs cookbook. I’ll be trying a few more in the coming weeks. This is one of those cookbooks that will be referred to often. What kind of recipes are in the book? There’s creamy butters including a chocolate chip cookie butter. There’s sweet candy like fat bombs including red velvet truffles and almond bliss bars. There’s also recipes for making your own dark chocolate and white chocolate. You’ll also find a few fudge recipes, sweet bark recipes as well as frozen treats. There’s some hot beverage recipes including a creamy white hot chocolate and some fruit smoothies. Some of the savory fat bomb recipes in the cookbook include pepperoni pizza fat bombs and Waldorf salad fat bombs. With so many choices in this awesome cookbook, it’s tough to choose which recipe to try next. 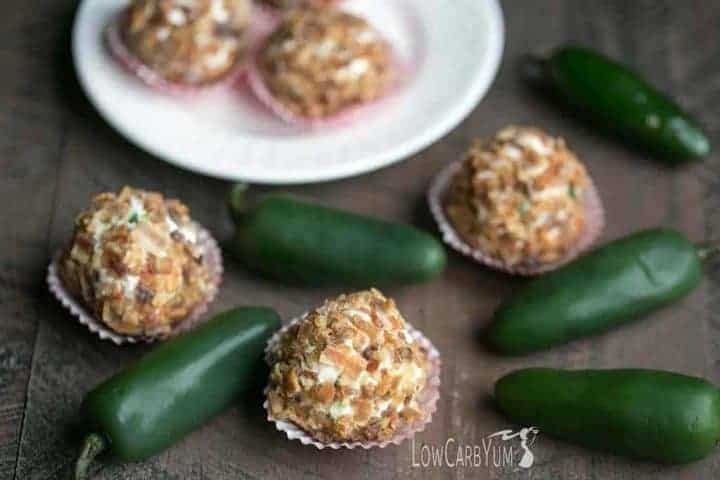 If you’re a big snacker like me, you are going to love this fat bomb cookbook and these easy keto jalapeño poppers fat bombs. The recipes in the book are all quick and easy to make. And, you’ll get the important healthy fats needed for a low carb diet without excess protein or carbs. 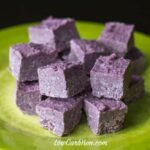 With such a great variety of fat bomb recipes, you’ll certainly find a few that will become regular treats. You’ll find this cheesy jalapeño fat bomb recipe in the Sweet & Savory Fat Bombs cookbook available at Amazon and local bookstores. 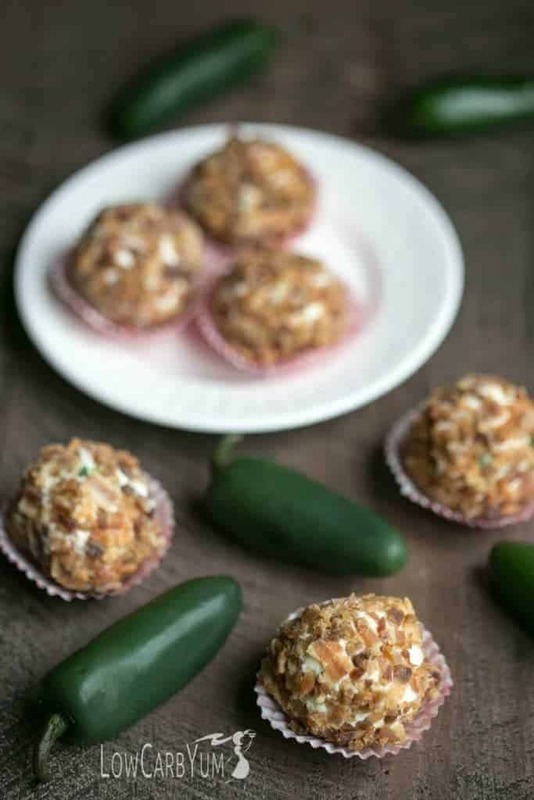 Cheesy jalapeño fat bombs recipe from the Sweet & Savory Fat Bombs Cookbook by Martina Slajerova. 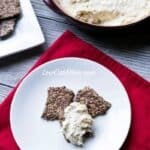 A delicious savory snack to boost fat intake. In a bowl, mash together the cream cheese and butter or ghee, or process in a food processor until smooth. Line a rimmed baking sheet with parchment paper. Be sure to use a rimmed sheet to contain the bacon fat, as you'll need it for the recipe, too. Lay the bacon slices flat on the parchment, leaving enough space between so they don't overlap. Place the sheet in the preheated oven and cook for 25 to 30 minutes, or until crispy. The exact amount of cooking time depends on the thickness of bacon slices. Remove from the oven and se aside to cool. When cool enough to handle, crumble the bacon into a bowl and set aside. To the cream cheese and butter mixture, add the Gruyère or Cheddar cheese, jalapeños, and bacon grease. Mix well to combine. Refrigerate for 30 minutes to 1 hour, or until set. Divide the mixture into 6 fat bombs and place them on a parchment-lined plate. 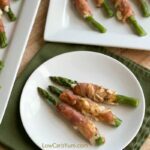 If serving immediately, roll them in the crumbled bacon until well coated. If serving later, refrigerate without the bacon coating in an airtight container for up to 1 week. 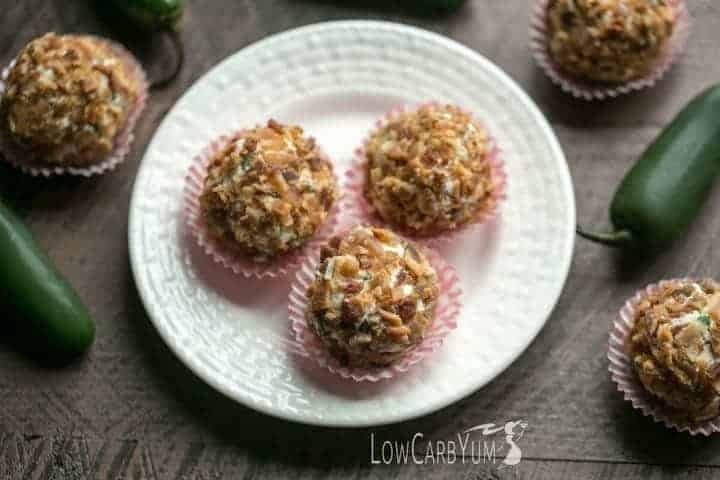 Roll the fat bombs in freshly cooked or reheated bacon crumbs just before serving. The fat bombs are not baked. Only the bacon is to fully cook it before using. These are delicious. Thank you for the recipe. You can thank Martina for these! Please tell me.. I do not eat pork but these look wonderful! Can turkey bacon be used in place.. and then there is no fat cooked out of it.. what can be used to replace that fat? butter or olive oil? You can use turkey bacon and then just use another fat like butter or coconut oil. Info is given for each popper which is technically a serving. You should use as much as you can. Does the bacon need to be baked? Can it be cooked on the stove top and have the same nutritional value? The bacon just needs to be cooked. How you cook it doesn’t matter. Love the recipes,thank you for posting these great recipes!!! I’m not sure what you are asking. The nutritional info for the recipe is located at the bottom of the recipe card. I don’t understand the amount of jalapeno. What is 29/1 oz? Is that 29 jalapenos? 1 oz? What is 2 g in jalapeno? It was a typo. It should have said 2 jalapenos, 29g / 1 oz. These are very good! My husband was pleasantly surprised! try and try and i just cannot stomach the slick,fat cubes these are like, it’s like eating butter whenever i eat a fat bomb just weird. For some,it needs to be hidden better! Planning on making these! But we only have cooked-up bacon, and we didn’t save the grease. How much extra oil should I add to account for the “lost” bacon grease? A tablespoon or a little more of fat should be fine. Yum! I was looking at this recipe in Martina’s book the other day! They look so yummy in your photos. I can’t wait to try. Thanks! 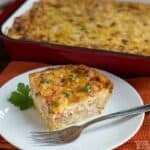 I just wanted to day thank you for posting all these wonderful recipes. 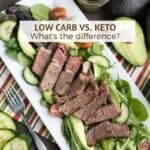 You make eating low carb easy and yummy! My pleasure! 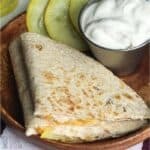 I enjoy sharing the recipes I’ve been making.